Considering the majority of people reading this will be pet owners, the idea of bequeathing money and property to animals after death mightn't be met with such surprise. Apparently, the number of people factoring pets into their wills is on the rise, especially amongst the rich and famous. According to the Animal Legal Defence Fund, making provisions for pets has become increasingly popular in the last decade, with owners leaving money, trust funds, property and entire estates to their furry family members! But people are not only bequeathing their assets to their own pets; the number of us donating to animal charities, shelters and to adopted strays has increased so much in the last century that today, making provisions for the less fortunate is commonplace. For those who are the sole carer with no one to entrust their pets to, leaving a portion of their assets to ensure their pet's continued care makes perfect sense. In fact, we are so devoted to our animals that roughly 1.5 million of the UK plans to leave money to pets in their wills. However, it is the ones that go above and beyond to provide for their pets after death that I am most interested in; the ones bequeathing family fortunes, jewels, estates, luxury holiday homes and who knows what else to the house pet, slighting their expectant family members in favour of the dog, cat or chicken! 1) Alexander McQueen – despite the fashion designer’s enormous wealth, McQueen left a meagre (I say in jest) £50,000 to his pet bulldogs to maintain them in the lap of luxury after his death. More generously, McQueen bequeathed £100,000 each to four charities, two of which included Battersea Dogs and Cats Home and the Blue Cross. 2) Mr and Mrs Gill – the millionaire couple made headlines after deciding to leave £2 million of their fortune to the RSPCA. Outrage followed when the Gill family learned of this, with the couple’s daughter taking them to court! She claimed her mother would never have agreed to such a bestowal had she been of sound mind. After a lengthy battle (lasting four years), Christine Gill was awarded her parent's estate when the court ruled her mother had been coerced by her husband into leaving the entire fortune to the charity. Following the ruling, many people were understandably up in arms about the disregard shown to the couple’s final wishes and were suspicious of the daughter’s motive. 3) Miles Blackwell – in 2000 the publishing mogul bequeathed £10 million to Gigoo, his hen. Gigoo must have made quite an impression on Blackwell - either that or she laid very scrummy eggs. 4) Oprah Winfrey – no, you have not missed the news of her sudden demise. Oprah is still very much with us and making no secret of her intention to leave $30 million to her pet dogs after her death. Oprah has always been a great lover of animals and shamelessly puts her dogs first in the line of inheritance. 5) Doris Duke – the tobacco heiress who, without contest, holds the record for the most extravagant pet settlement of all time (surely!?) 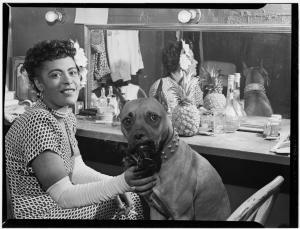 On her death in 1993, Duke left $100 million in trust to her pet dog, Minnie. At death, the heiress’ fortune was estimated at $1.3 billion - a sizeable sum that perhaps justifies the extravagant bequest. Although the will was contested many times, the court ruled that the $100 million trust fund was entirely legal, making Minnie the richest dog in the world. We are leaving all of our monies/estate to our cats when we die. Trying to sort out the right people to do this when we are gone is hard to do. getting a cat club or resuce place to do this isn't easy to do. I too would like to leave everything to my pet's, who have always given me unconditional love throughout the years, I do not have a partner or children to leave anything too, but I would like my pet's to be cared for properly, which is a huge worry for me, I do not want someone to agree to take them, if they are just after the money, then to either neglect or even get rid of them, so if anyone can give me some advice on what I could do legally I would be extremely grateful, I am disabled and don't have a lot of money but I'm hoping the sale of my disability equipment, after I die, will boost any savings I have at the time. I am co-founder and administrator of The PACT Animal Sanctuary in Norfolk. My advice is to leave your pets and any possible money for their care to a local registered animal rescue charity, do try to visit the charity and discuss your pets with them to make sure that they are reputable and will follow your wishes. put your wishes in writing with your solicitor and executor with a copy to your chosen charity. Make it clear whether you wish the chosen charity or individual to keep your pet for life or whether you would be happy for the pet to be rehomed. Once your pet is in ownership of an individual (albeit your best friend or dear child who you trust) or any organisation they can have your pet destroyed immediately without consequence and I know certain respected organisations and 'best friends' have done just that. Make sure that any rescue has a strict 'no kill policy'. Here at PACT we are always totally honest and will do our best for any animal no matter the cost, we will only put to sleep if the animal is physically suffering and has absolutely no hope of recovery. There are many other organisations with the same policy but not all. Bear in mind also that if you are in the fortunate position to be able to will more than your pets will need that the extra will go to help other needy animals. A charity will put your money to far better use than greedy hangers on. Again here at PACT we have on more than one occasion taken in animals which have been left to friends and family only for those people to keep the money and either pass on the pet or neglect it. The best way for your animals is to discuss the situation with a reputable local charity before making any decision. We would be happy to offer advice and help and possibly suggest other charities if we are too far away or unable to take your pet, although we do accept most species occasionally in the case of exotics we would suggest an alternative. I'm so pleased I've read all your comments & especially grateful to PACT Animal Sanctuary, my estate as it's is - is left entirely to animal charities in various percentages, but I did not think about adding the care of my pets in this, I'm so pleased you've pointed out the obvious.